Hint! 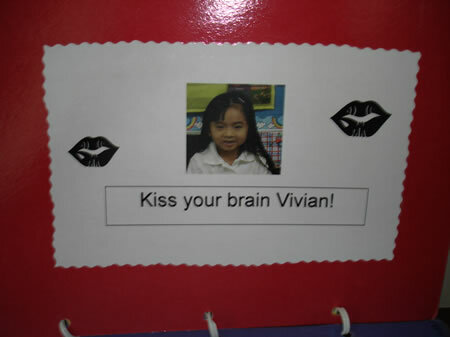 You can make a similar book called “Kiss Your Brain!” Or, how about, “Got Milk?” where you paint a white mustache on each child’s photo with white out! Our Happy Day Book - This is a book that will help children feel comfortable as they learn the daily routine in your classroom. 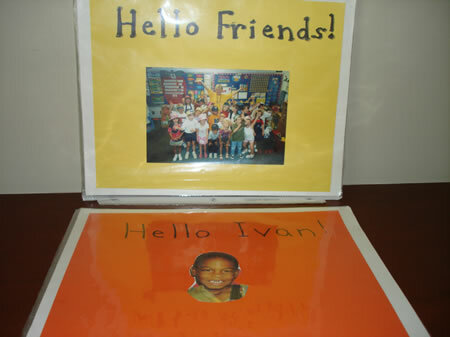 Even if children can’t read the words, the pictures will provide them with clues about what to do. Read the book each morning to prepare children and to capture their interest in activities you have planned. Have children refer to the book to “see what we should do next.” You could also send the book home with one child each evening to share with their families. First, take pictures of the children engaged in your daily activities and routines. 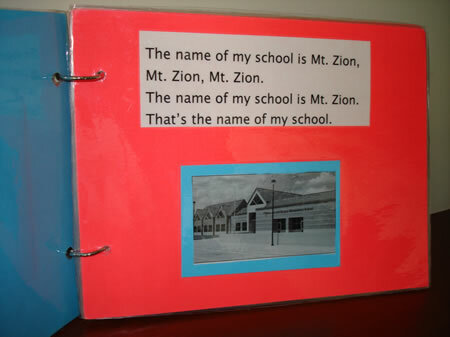 Glue pictures to construction paper and write captions similar to the ones suggested. (Adapt to the age level of your students and your curriculum.) Put the pages together and bind with a spiral binder or book rings. Next, we do literacy centers. We read, write, listen, and play! toys, library, or sand table? Hint! If you have a schedule that changes each day, then try this idea. 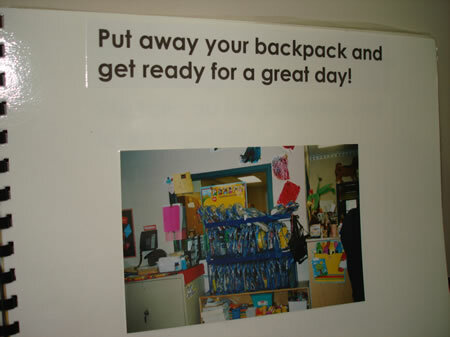 Take photos of the different events in your school day and glue them to index cards. Attach a piece of magnetic tape to the back. Each day arrange the cards on the magnetic board so students can “see” the routine. 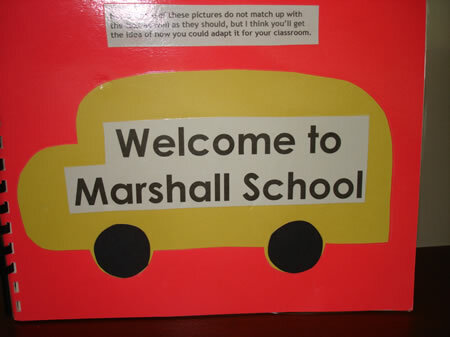 Do you get tired of children saying, “Teacher, teacher!” the first few days of school? This song will enable them to learn the name of their teacher, school, principal, as well as their community, city, state, and country. Hint! Include social studies concepts so children learn the name of your mayor, governor, the President, your continent, etc.